Are you ready for a bit of inspiration? 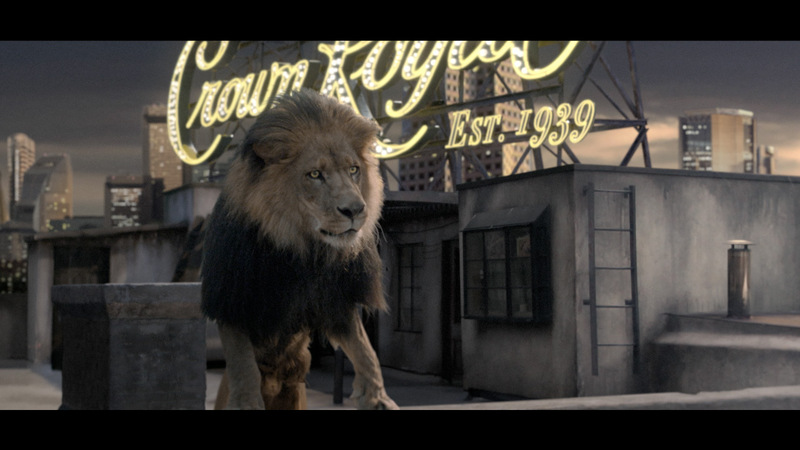 The Mill together with Grey, MJZ, director Rupert Sanders, cinematographer Greig Fraser, and art director Phil Ivey created 'Anthem,' the motivational spot for Crown Royal. This spot raises a glass to those who seize opportunities for greatness with inspirational quotes preached aloud, as athletes and musicians with the will to win, get closer and closer to their goal. 2D co-lead Iwan Zwarts who worked on set in Mexico as the VFX Shoot Supervisor and 2nd Unit Director said "Everything about this shoot is spectacular and large scale... Every detail was choreographed. The stunning shot of the band free-jumping into a crowd was actually done in one take by four stuntmen over a 60 ft. drop set in a quarry." The Mill's 2D team added intricate details to the spot; tattoos, a full moon, and a bit of mood and bling. Ilia Mokhtareizadeh, 2D co-lead, adds: "The beautiful dawn skyline was added to the shot and we transformed the lion's surroundings into a more magical setting. Additional gold dust was added in the boxing scene and we added a large amount of diamonds to the basketball scene." And it doesn't stop there! The 3D team was hard at work. Greg Gangemi, 3D lead, said: "We made the Crown Royal sign, the basketball net with exploding crystals, the stage and all on-stage props, and completely redid the band jumping from the cliff shot, adding instruments into the band members' hands and creating a crowd below the cliff." Truth be truth? It all came together beautifully in this powerful spot.